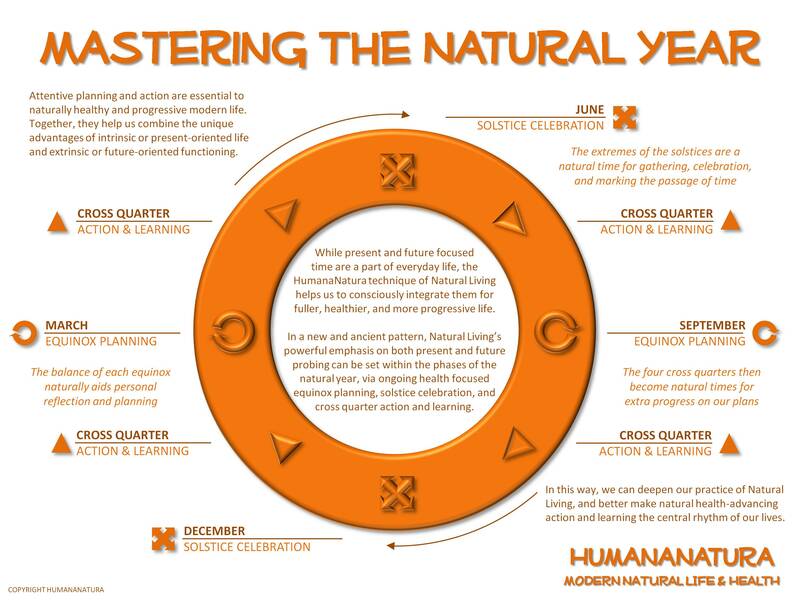 When discussing the HumanaNatura natural health system with others, I am often asked why we advocate walking over running in our Natural Exercise technique. For many of us, running seems like real exercise, while walking is, well, just walking. And this is especially true if we envision short walks on flat walkways, as opposed to long ones on hilly footpaths. Still, it is true that, step-for-step, walking is clearly less intense, and seems less like exercise, than running – and than many other aerobic activities. But ironically, it is exactly because of this quality that walking proves superior as a health promoter, especially across many people and over time. In practice, walking – including hiking – is a more natural and, for many of us, more naturally enjoyable human activity, compared with running and other forms of intensive exercise. For people overall, walking offers greatly reduced risks of injury, is easier to sustain as a practice in our lives, and is far more likely to be practiced on a lifelong basis. Walking is also flexibly practiced and requires no special equipment. For all these reasons, the case for walking is pretty strong. For those of us in the northern hemisphere, summer is knocking on our door. And with summer, we will tend to favor lighter and cooler foods. With this idea in mind, we would like to highlight that delicious, inviting, and extra-healthy warm weather meals can be prepared in minutes, when we eat the HumanaNatura way and follow HumanaNatura’s OurPlate healthy eating guidelines. 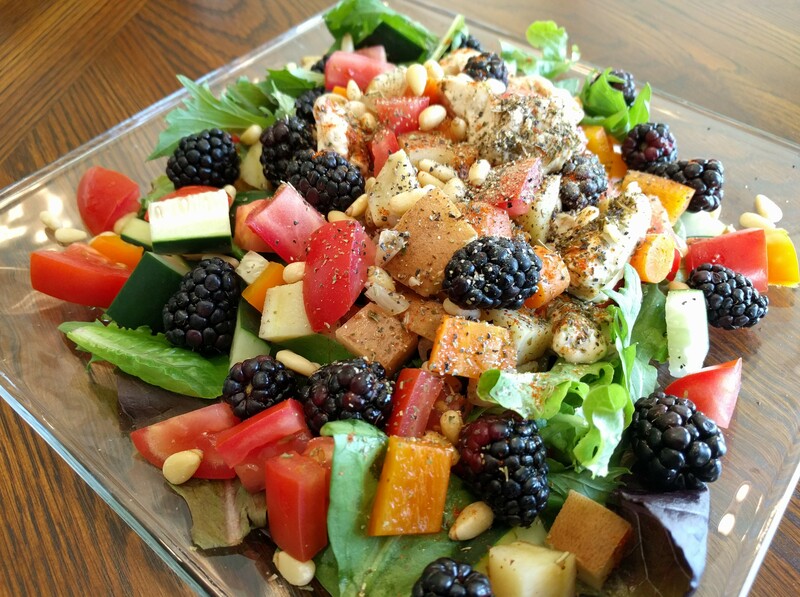 Our Chicken and Fruit Salad Meal is a great example of fast and fresh natural eating, in the summer months and throughout the year. Our featured HumanaNatura Salad Meal begins by steaming some bite-sized chicken pieces, seasoned with red pepper and a Mediterranean herb mix, on top of a base of diced carrots, white sweet potato, and onion, along with crushed and finely chopped garlic, for about five minutes (see our Cooking With Steam Overview for guidance if you are new to food steaming). When done, the chicken and root vegetables are allowed to cool slightly or are chilled, covered, for an hour or more. As the cooked chicken and vegetables cool, prepare of salad base of mixed greens, along with a veggie mix of sliced or diced tomatoes, cucumber, and bell pepper. Arrange the cooked chicken and root vegetables on top of the salad, and garnish it with fresh berries and a scattering of nuts. Dress and season the salad with herbs and black pepper to taste, and serve promptly. Bright, delicious, and satisfying!